The Venetian Republic took Knin during the Morean war in 1688, seizing it from the Ottomans. The fortress originated from the Middle Ages, and its particular feature was that it consisted of two castles on the ridge of the Spas hill. In the modern age those salient points were gradually linked by walls that also included lower positions on the slopes of the hill. 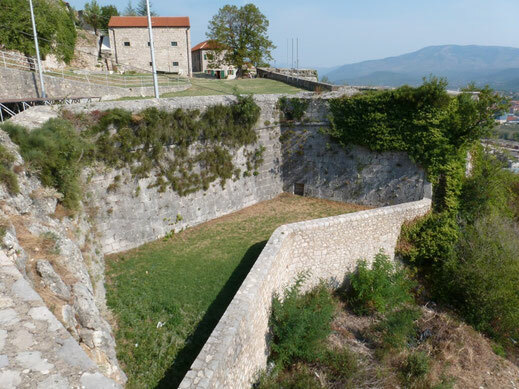 Because of its strategic importance the Venetians listed Knin among their first-class fortresses, initiating work on its modernisation in the 18th century. The majority of the work was carried out during the office of the proveditori generali Vendramin and Pisani, starting in 1710. 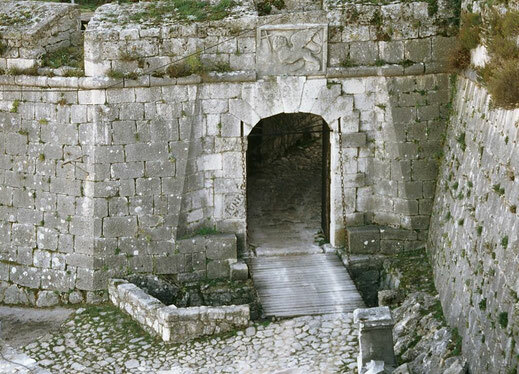 Jančić's intervention clearly stands out, resulting in the construction of the main, entrance bastion (named Pisani) as well as the continuation of the bastion system. This system included the so-called falsabrage (low walls) in front of the main rampart. The reinforcement of the northern end of the fortress, the protection of the opposite plateau and the extension of the trench between them are attributed to Jančić as well. In addition, he proposed further annexes for the Knin fortress such as platforms, tenailles, traverses and other elements. After his intervention the fortress was further extended, most notably by the strong two-level cannon battery at the northern end of the fort, as well as the new Belvedere enclosure in the south.